There are more developments in the interesting labor-law case involving massage therapists and their former employer, INTU Corporation, one of a handful of companies providing services to poker-room and casino patrons across the US. In response to the original lawsuit alleging several labor-law violations, including enforcing a possibly unenforceable non-compete clause that barred INTU’s third-party-contractor therapists from seeking work at competing therapy firms. Among the latest developments are a counterclaim filed by INTU against the eight former therapists who have joined in what their legal counsel hopes will be certified as a class-action complaint, and a motion to dismiss that counterclaim by counsel for the defendants, gambling-world attorney Maurice “Mac” Verstandig. 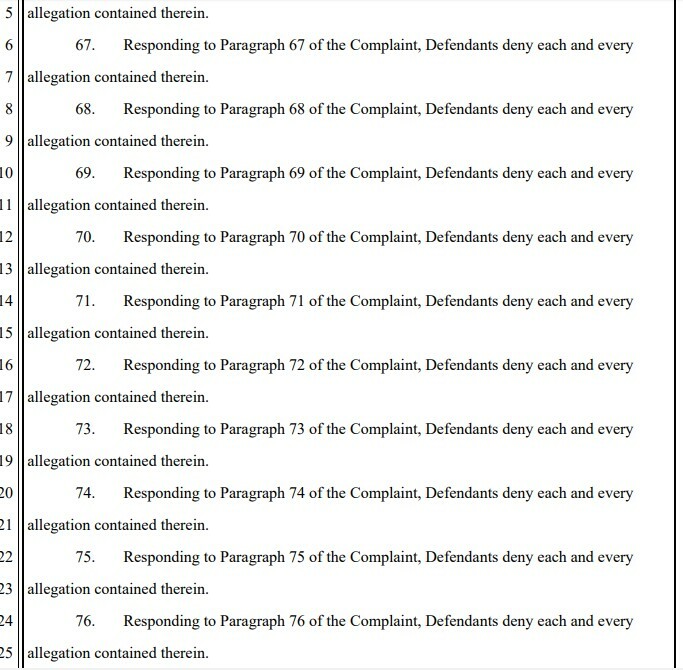 The amended complaint, which expanded the plaintiff list from two to eight, details more of the alleged labor-law violations committed by INTU and its president, Deanna Andrews, including possible violations US’s Fair Labor Standards Act (FLSA), the unlawful imposition of non-compete clauses by INTU, and interference with contracts signed by the therapists to work with rival therapy firm Professional Massage, Imc. (PMI) for ongoing events at the Bellagio. The intriguing story exploded when INTU lost its contract at Las Vegas’s Bellagio casino just prior to a prominent World Poker Tour stop at the venue in December. When several of the previous INTU-contracted therapists who had worked at the Bellagio then sought to jump over to PMI the Bellagio’s new massage-therapy partner to work the WPT event. Instead, the eight plaintiffs and others were blocked from doing so by a notice sent from INTU insisting a long list of third-party-contractor therapists were barred from working there due to the non-compete. INTU has since officially fired all eight of the plaintiffs in response to their legal complaints, which might indeed represent an additional labor violation if the plaintiffs’ legal complaints are upheld. The eight therapists now listed as plantiffs are Krystal Johnson, Shannon DeLelle, Crystal Honeck, Dusty Dangerfield, Jennifer Wakuzawa-Kida, Sarah Pascoe, Elizabeth Spangler, and Shannon Thompson. (2) disclosing INTU’s confidential information, including its rate structures to INTUs competitors, customers, and others in violation of the nondisclosure agreements. 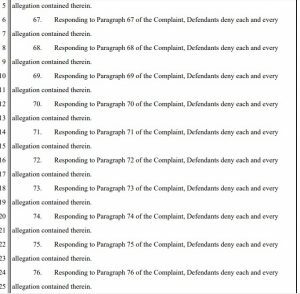 The counterclaim also denies the vast majority of the allegations made by the plaintiffs in their entirety, occupying several pages and dozens upon dozens of assertions that “Defendants deny each and every allegation contained therein.” The counterclaim also offers no less than 40 (!) affirmative defenses, many of a suspect nature, as INTU seeks to dispose of the therapists’ claims. The counterclaim also asks for damages of not less than $15,000, along with compensation for INTU’s legal expense. The combination of the 40 affirmative defenses and the seeking of damages appears are defensive tactics designed to bog down the case in legal minutae and, as noted in plaintiff’s recently filed counterclaim, to possibly dissuade more possible plaintiffs from joining the likely class-action case. Since the Defendant lost its contract with the Bellagio before its employees went to work at the Bellagio for the new contract provider and before this suit was brought, it is not at all clear how the Plaintiffs taking jobs with the company to which the Defendant lost its contract, or bringing this suit, could have prevented the Defendant from renegotiating its contract. This is, on its most basic level, an abrogation of the time/space continuum – the Plaintiffs went to work for the Defendant’s successor because the Defendant lost its contract to supply services; ergo, the Plaintiffs could not have started working at the Bellagio, for a competitor, until after the Defendant lost its contract. Similarly, the suggestion that the Bellagio now knows it can contract with a competitor of the Defendant and secure the same workforce is of no moment, since the Bellagio entered into that contract before it would have discovered the Plaintiffs were all going to take jobs performing massage services at the Bellagio for the successor contract provider. It was the Defendant’s loss of the Bellagio contract which led the Plaintiffs to start working at the Bellagio for a competing business; by operation of pure logic, they could not have done so before the Defendant lost its contract and had a competitor take over. 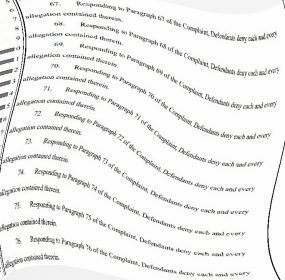 There is a disturbing undertone to the Counterclaim’s allegations of damages which suggests the Plaintiffs’ professional efforts are somehow the sole and exclusive property of the Defendant. It is rich for the Defendant to at once claim its employees are, in fact, independent contractors exempt from the Fair Labor Standards Act and, at the same time, people who it so deeply controls that if a specific casino wants the Plaintiffs to perform massage services, that casino must contract with the Defendant. This is neither a normal nor a generally acceptable worldview, and yet it is one that seems to inform the incoherent assertion of damages in the Counterclaim and the other fundamental issues giving rise to this suit. The counterclaim also alleged that the therapists disclosed “trade secrets”, which appears to refer to either the rates charged to massage customers or the revenue split divided between contracted therapists and INTU. The first would be silliness, because one has to publicly release rates in order to conduct business, and the latter, regarding wages paid, has been ruled to not be a “trade secret” in numerous precedental cases. There’s also the matter of INTU’s ongoing contracts with two other Las Vegas properties, the Aria and MGM. Though unverified, Flushdraw has received reports that INTU’s deals at Aria and MGM Grand are also up for renewal in the near future. Should those deals lapse and should INTU again seek to enforce the allegedly moot non-compete on therapists at those properties, as any as 60 massage therapists might become eligible to join this lawsuit’s class, even if they’d rather not.